It's time to get to know the new Bears! We got the low-down on Mike Glennon in last week's show, so this week we took a look at his new teammates. 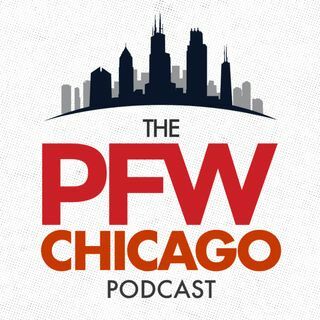 We talked about CB Prince Amukamara with Jaguars beat writer Ryan O'Halloran (@ryanohalloran) (2:50), WR Markus Wheaton with Steelers beat writer Jim Wexell (@jimwexell) (9:30), WR Kendall Wright with Titans beat writer Terry McCormick (@terrymc13), S Quinton Demps wtih the voice of the Texans Marc Vandermeer (@TexansVoice) and wrapped ... See More things up with Dolphins beat writer Omar Kelly (33:30), who broke down TE Dion Sims. Kevin and John analyzed what the Bears have done thus far in free agency and what it may mean for the NFL Draft.